Since 1980, Ben Gagliano has worked in the employee benefits, insurance and administration world. After running western New York's largest employee benefits firm, which he co-owned, Gagliano joined Jim Cantey, a friend since the early 1990s, at TPS Group. Involved in product development, marketing, company direction and acquisitions, Gagliano is also experienced in pension, group benefits and medical, cafeteria and welfare benefit plan sales. He says TPS Group makes it easier for clients to do business because of the company's knowledge base and business approach. "By continuing to place those who specialize in other services, such as human resources or payroll, in the right positions, the company continues to anticipate clients' various needs. That’s how we create unique solutions that really make a difference for our clients." For Gagliano, the company's success comes down to its employees. With a dedicated, hardworking and knowledgeable group of associates, he says the family-friendly work environment is just the right style. "No matter how large we grow, I don't want to lose our sense of caring about the people who work here. We really are only as good as the people who make up our team." As far as TPS Group's future goes, Gagliano has a dream he'd like to see come true. "I want our company to be a destination - a home - for more talented people to make a career, a good living and have security," he says. 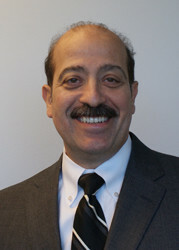 Gagliano received a Bachelor of Arts degree in History from Canisius College in Buffalo, New York. He has also completed continuing education courses in financial services.